This post is created in partnership with Gaijin Entertainment. 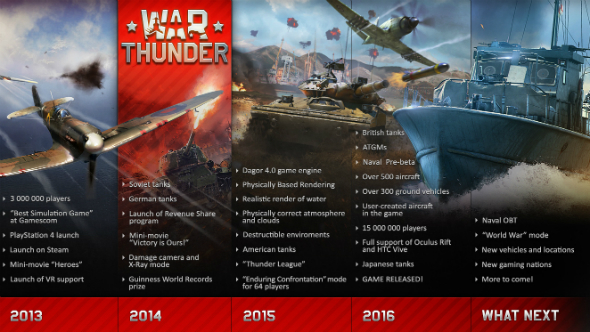 When War Thunder was officially released at the very end of 2016 many fans were left wondering what that meant for the five-year-old MMO. Were Gaijin Entertainment done implementing and adding features? Of course they weren’t. In fact, they’re planning to roll out almost twice as much content in 2017 as they did in 2016. Of course, a lot of that content is still shrouded in secrecy, so we thought we’d quiz CEO of Gaijin Entertainment, Anton Yudintsev on the matter. Looking to spruce up your fleet of death machines? 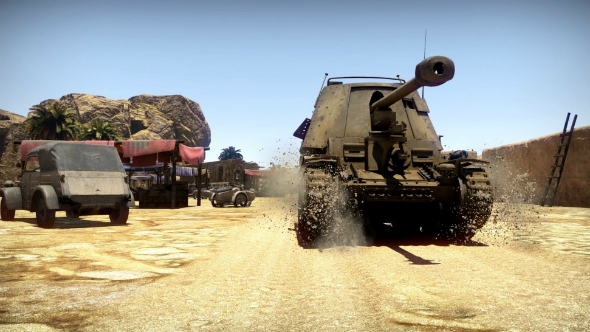 Check out these War Thunder skins. Judging by what’s on the horizon and how the game is looking right now, 2017 could be War Thunder’s best year yet. With Knights of the Sea planned to make the transition from pre-beta to open beta, World War mode due out, the promise of new nations and even talk of destroyers coming to naval battles before 2018 – it’s not hard to see why. So, here’s everything that’s coming to War Thunder in 2017. 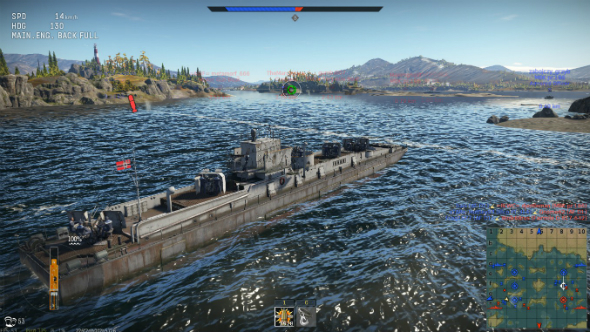 War Thunder’s third and final form of vehicular combat, naval battles, has been in closed beta since players first got hands-on with it as Gamescom 2016. Since then, purchasers of special naval packs have been able to try out new vehicles and game modes for Knights of the Sea every weekend in limited sessions. There are to be a few more closed beta tests in order to ensure that everything is perfect ahead of the leap from closed beta to open beta, which will see thousands of players rushing to try out the new battle type and tech tree. In its current form, naval battles are not too dissimilar from Ground Forces battles inasmuch as firepower reigns supreme: if you can deal out the most damage and keep your own boat relatively intact then you’ll end up in the top half of the leaderboard. Movement and speed are nowhere near as important as they are in air battles, however there is some scope for clever maneuvering when it comes to dodging incoming torpedoes. It’s also markedly different from both in terms of how long it takes to destroy an enemy vehicle – often it takes minutes of continuous fire – which can make racking up multiple kills in a single match difficult. 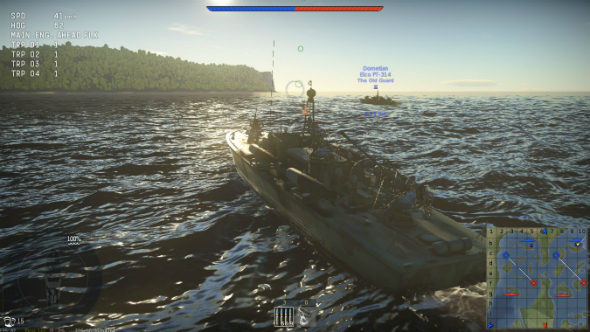 During the closed beta Gaijin have also introduced closed beta testers to three new maps – English Shore, Scandinavia and African Gulf – nearly 20 boats, night missions and two unique game modes. One of the biggest talking points surrounding the impending arrival of naval battles is whether there will be any large vessels in the tech trees. So far, all the ships that have been announced have been relatively small – in fact, most of them are technically boats. The large number of torpedo boats, gunboats and submarine chasers that have been released so far to closed beta testers suggests that there will be little to no scope for the large vessels like destroyers and cruisers. 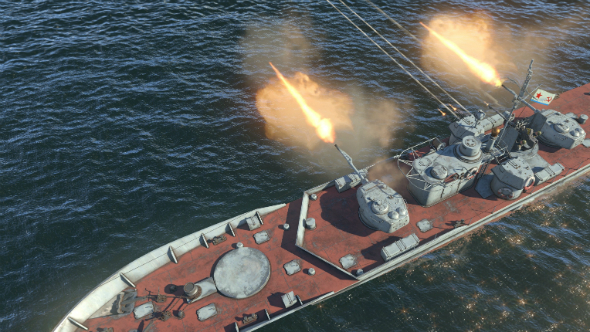 So, don’t expect to be ruling the waves with a Yamato in War Thunder, but destroyers are still a possibility, especially with the recent reveal that a British tribal-class destroyer is making its way into the closed beta. It’s not on par with a modern destroyer, cruiser or battleship in terms of size, but it’s a big step step up from a torpedo boat. Exactly which nations, how many, and in how complete a form? Italy has been confirmed as the next new nation coming to War Thunder, although it’s by no means the last. 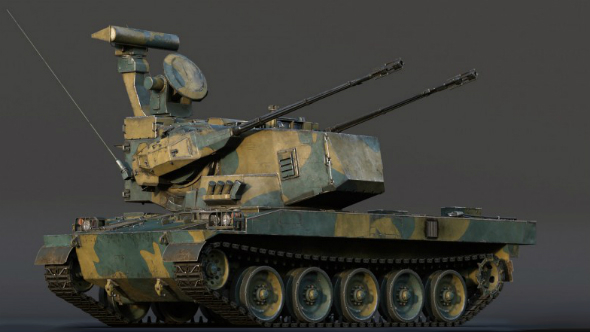 As Gaijin have done with all previous tech tree releases, Italy will enter the fray with only aircraft initially, with ground vehicles and boats coming much later. The Regia Aeronautica will be released to testers as part of the forthcoming 1.69 War Thunder update, the next major update since the game’s full release last year. The ambitious mode will feature a global map accessible through the player’s hangar that shows all ongoing military operations. All operations are divided by theatres of war, and each theatre of war can have a number of operations in progress at any given time. Beyond that are the operations themselves. 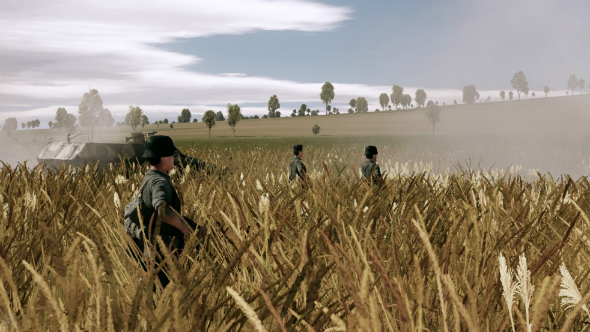 These will be for commanders and are being billed as an RTS experience for the strategy-minded players – they can move armies across the map in an effort to take certain objectives, and in vying for an objective a battle breaks out involving whichever resources have been channeled towards it. This is where War Thunder’s traditional gameplay comes into effect – battles will take place in one of several previously tested game modes that reflect the objective and scenario that sparked the conflict. The outcome will then determine what resources are left for commanders to use in their next operation and who controls what objectives and map points. Gaijin will be fleshing out the details in a series of dev blogs and posts, the first of which you can read here. That’s all from us. Which impending update are you most excited about? Drop us a line in the comments below.